I am Jack, I run a sleepaway camp that we founded in 2015. We started with just one week of camp and have expanded to 6. Like many of you, we are an independent not for profit and that comes with add headaches and awesome opportunities. On Monday, we are mostly going to talk about different programming ideas I have seen at Stomping Ground, our camp, and from my trip traveling the country before starting camp. I hope the ideas are useful and you can always email me if you have any questions and I would love to help. Below are some resources or videos that might give you some more context on what to expect from me. 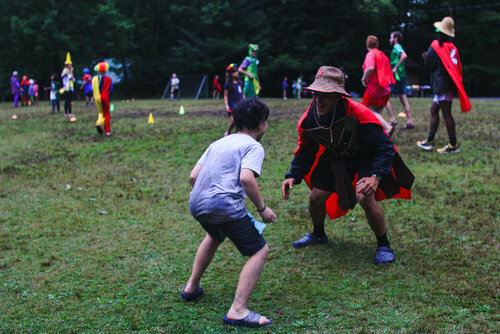 We love all camp games at Stomping Ground. Some of these can be a little complicated.